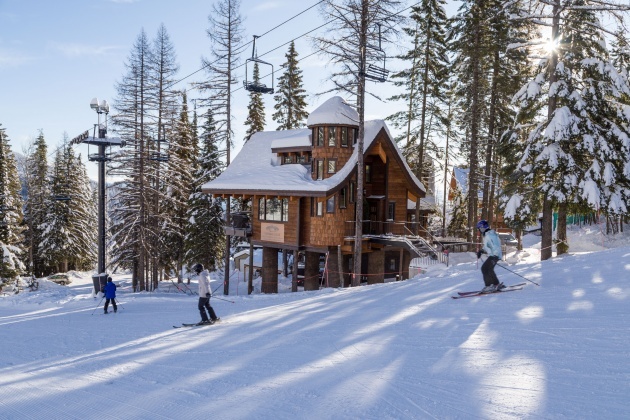 Check out these new treehouses located slopeside at Whitefish Mountain Resort in Montana. Called the Snow Bear Chalets—and billed as the world’s first ski-in/ski-out treehouses—the recently built chalets stand 30 feet above the forest with gorgeous views of the mountains of Glacier National Park. The best part? These treehouses are the definition of ski-in/ski-out, located directly on the ski run and only a few minutes from the ski area’s Chair 3 ski lift. Three different chalets are available as vacation rentals and all come with a private treetop deck, hot tub, and top-notch luxuries like quartz countertops.